It just so happens that your friend here is only MOSTLY dead. There's a big difference between mostly dead and all dead. Mostly dead is slightly alive. 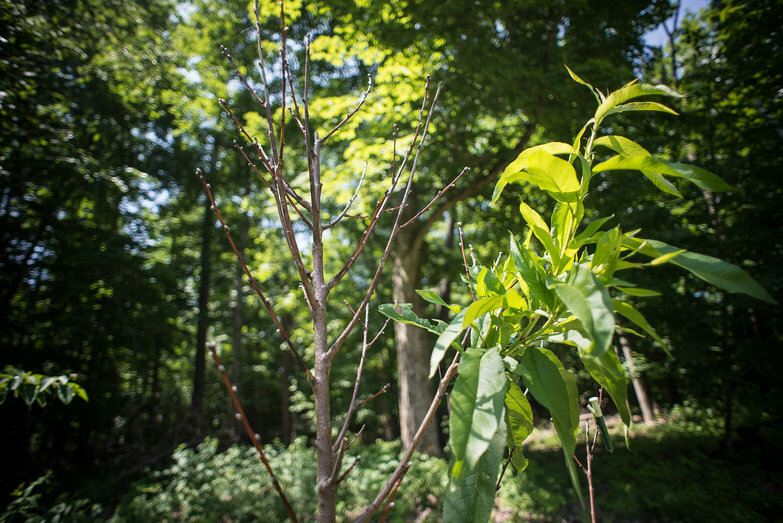 All of our fruit trees sailed through winter unscathed, with the exception of our peach tree. After taking weeks longer than the others to show signs of life, Peach finally sprouted a single leaf. Well, that single leaf has now grown into a veritable pom pom of life on a spindly scaffolding that looks really and truly dead. I'm not sure what to do about the situation to encourage growth, but I'm pleased the tree is hanging on.